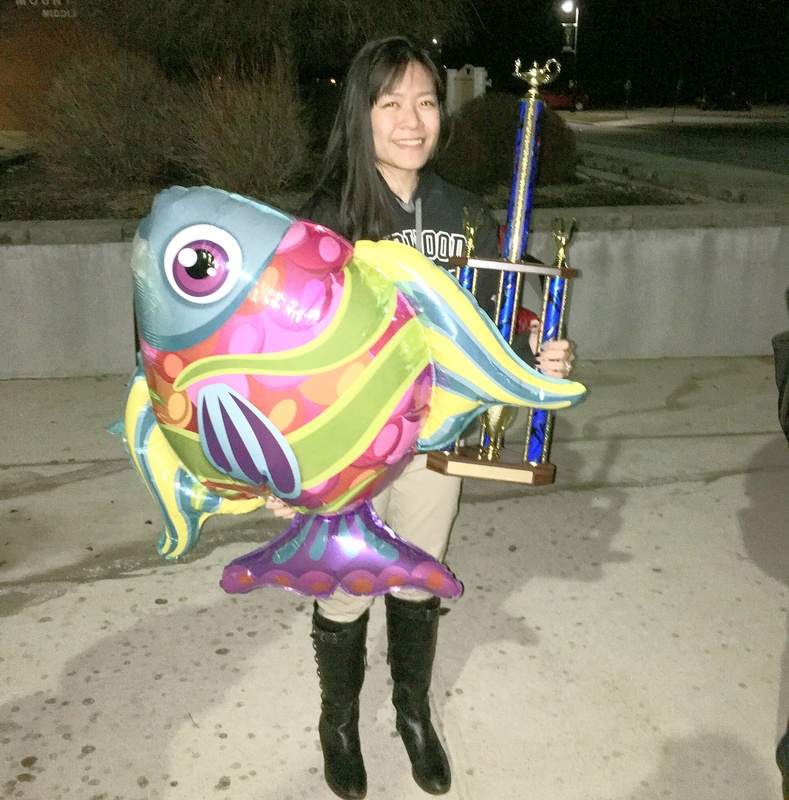 Posted on Wednesday, February 24, 2016 by Elert for Media. 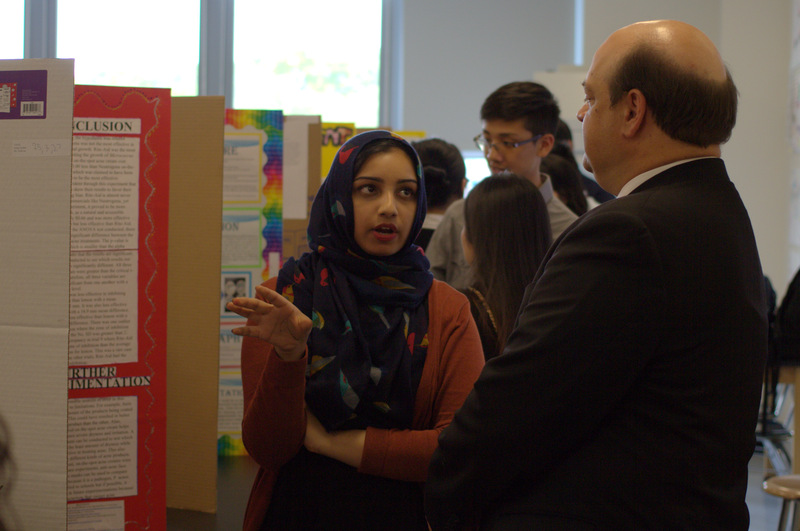 Midwood Science student Urooj Ansari appeared on the ABC News television program Good Morning America (GMA) Wednesday, February 24 alongside the billionaire philanthropist couple Bill and Melinda Gates. 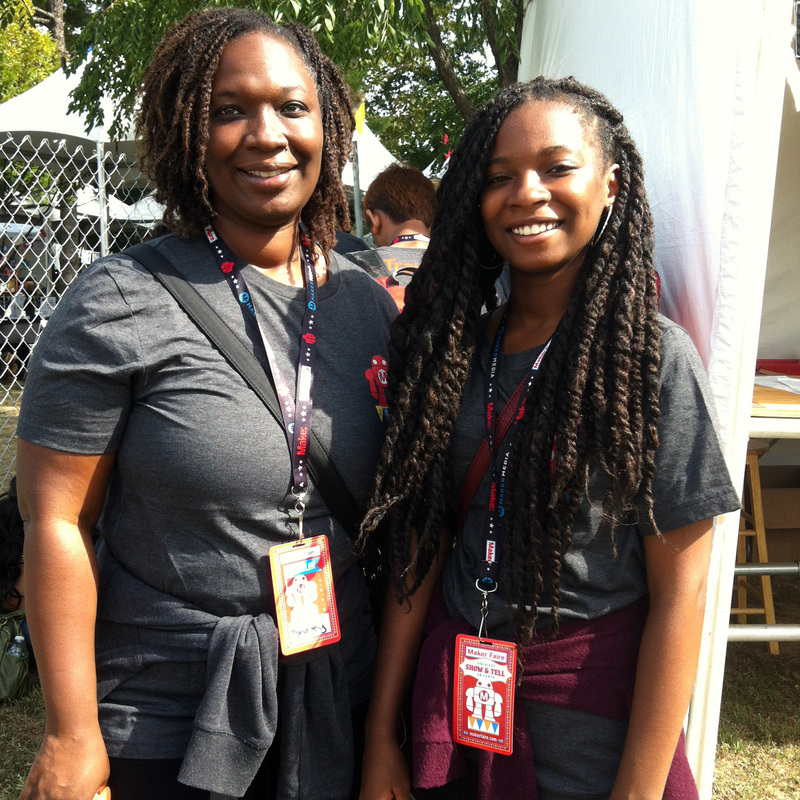 The Gates family set out their goals for 2016 in an open letter. 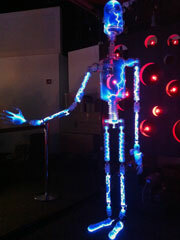 This year’s inspiration came from a group of high school students in Kentucky. "If you could have one superpower, what would it be?" Melinda and Bill replied, "More time" and "More energy". 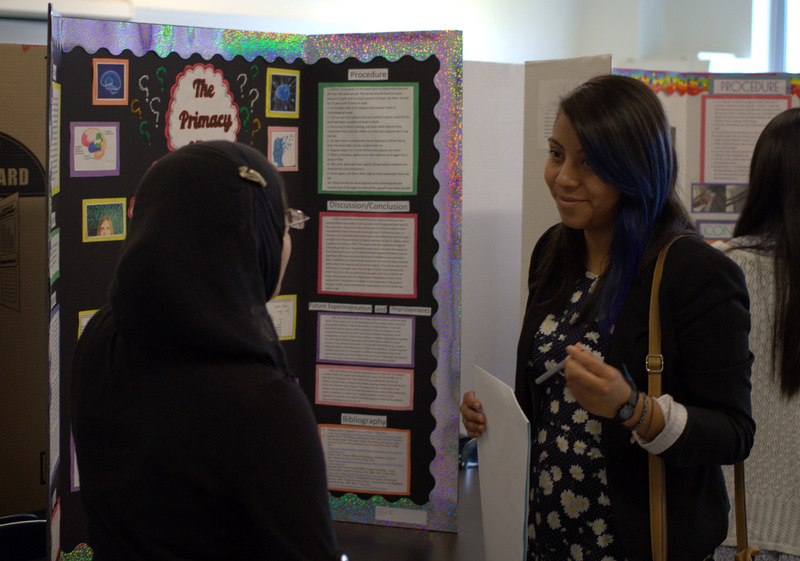 Urooj was selected by the New York Academy of Science to appear with the Gateses on GMA for her work with the 1000 Girls, 1000 Futures program under their Global STEM Alliance. Urooj Ansari is doing incredibly well in the program and has become an example mentee for our students. Urooj might be a great voice for our program and will be able to serve as a pillar of encouragement to other younger students…. 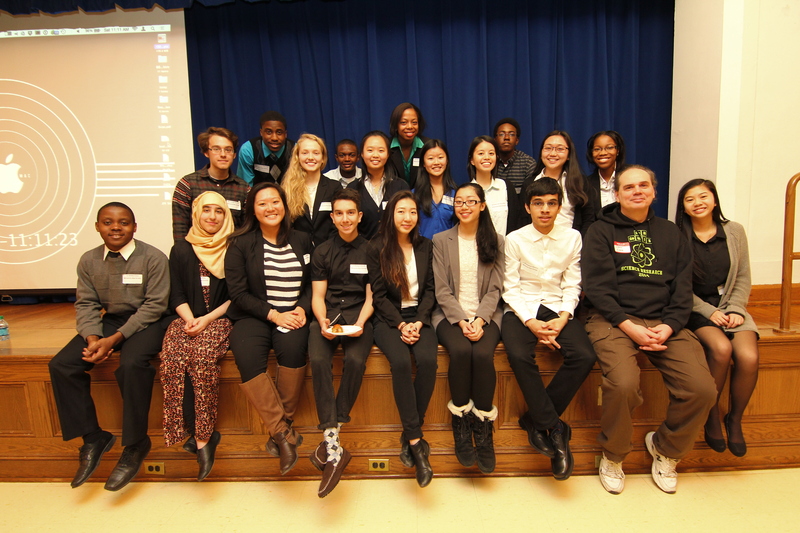 Midwood Science student Urooj Ansari (more or less in the center at sixth from left) with Bill and Melinda Gates, Good Morning America host Robin Roberts, and other students representing the New York Academy of Science. Posted on Thursday, November 5, 2015 by A Student for Media. 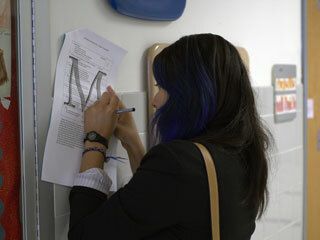 AP Capstone, a rigorous program designed to prepare students for college level literature research and writing, is now being offered at Midwood, one of the six high schools in New York that currently participates in this program. 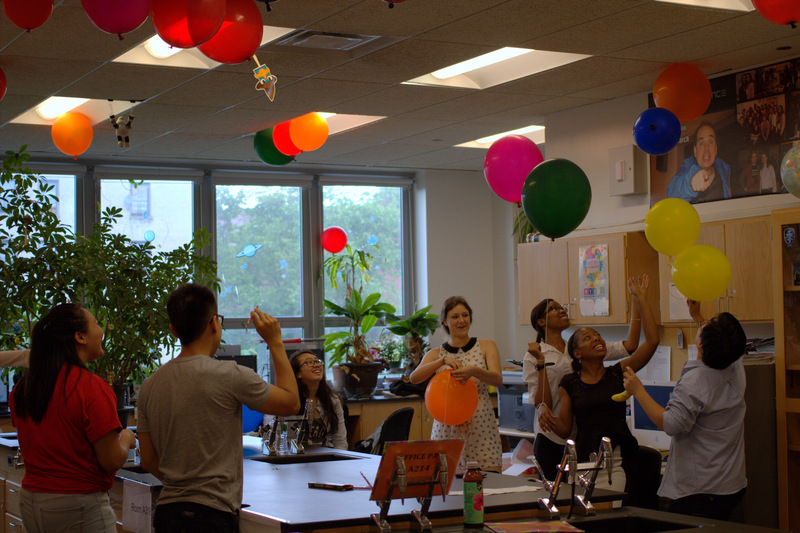 According to the College Board, AP Capstone, a two year program, is designed to provide students with core academic skills necessary for college. The program is broken into two classes: AP Seminar and AP Research. AP Seminar focuses on teaching students the skills necessary for literature research, presentation and writing research based essays. Those skills will be used later in AP Research to write an academic paper, present the paper, and defend it. 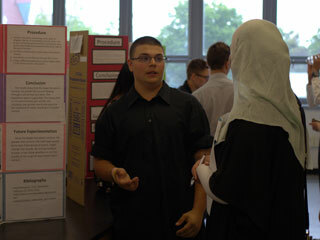 To implement AP Capstone, the English and Science departments have worked together to redesign the curriculum of the Research program to meet the standards..
"AP Capstone is a class which prepares students for college and allows them to explore their own interest," said Mr. Kamil Kraszewski, AP seminar teacher. "The class is focused on teaching students to conduct research, write college level papers and create argumentative presentations." This course supports the New York State standards through the implementation of Common Core. For example, standard CCSS.ELA-LITERACY.W.9-10.1 requires students to be able to "write arguments to support claims in an analysis of substantive topics or texts, using valid reasoning and relevant and sufficient evidence." 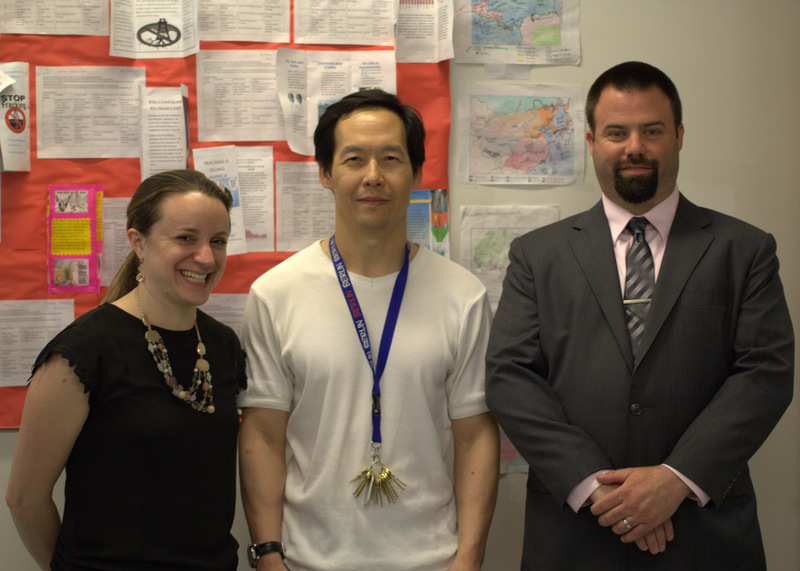 Mr. Kraszewski added, "It’s [the class] meant to foster independence, because just about everything we do I set the way for the students, but the way they get there is up to them. " The class is designed as an independent research class in which students learn necessary skills, such as using online databases and understanding how to compile information, and use those skill sets to perform their own research at home. 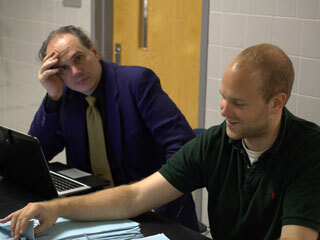 "Its really about the revision process," said Mr. Kraszewski. 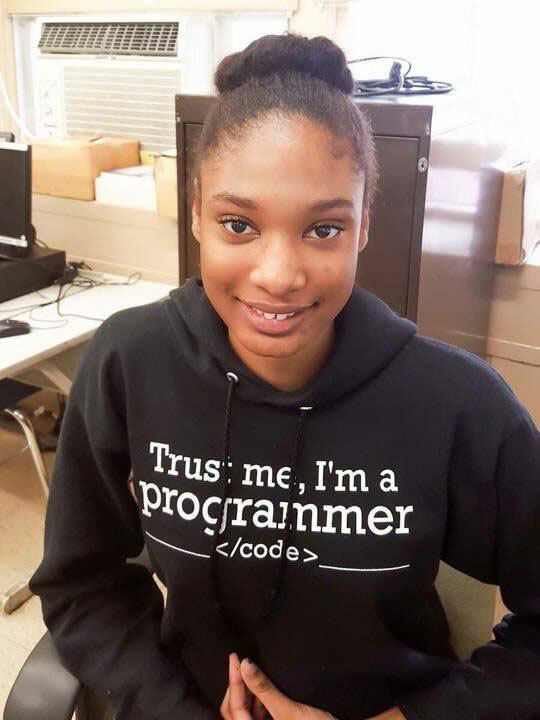 "I feel that many high school students feel that once they do something it’s done, and this is again meant to prepare students a process where revising is so important." 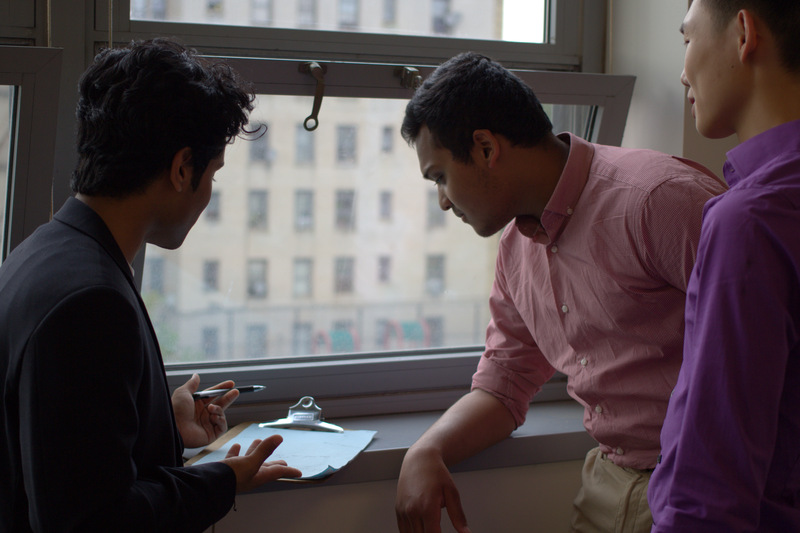 To ensure student’s work is at a college level, the revision process is focused heavily. 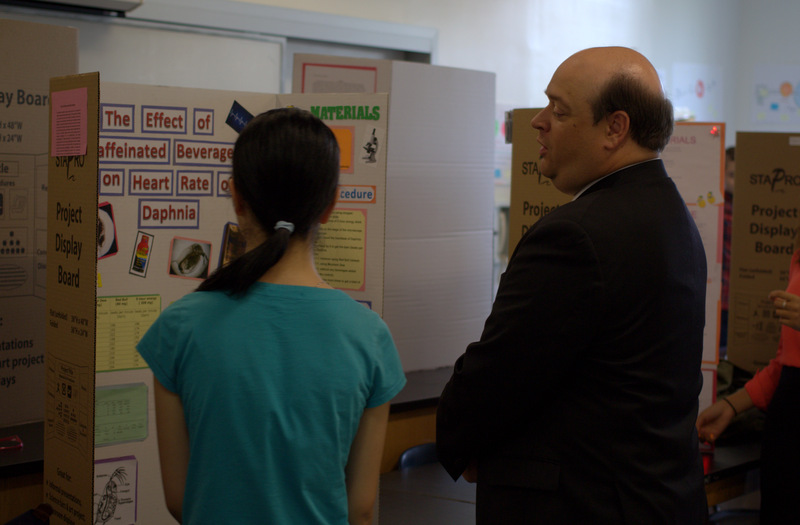 The student’s works are revised a multitude of times; feedback is given to the students by their peers, Mr. Kraszewski, and other teachers. 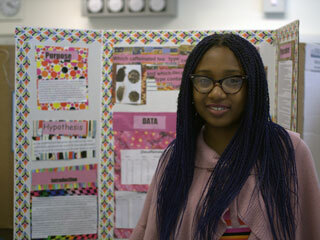 "Sophomore research is a complementary course for the AP Seminar Program," said Ms. Shaniece Mosley, sophomore research teacher. 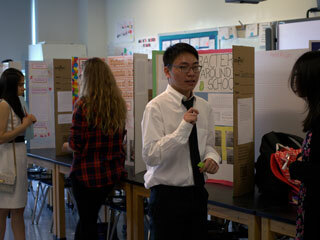 "The projects we do in sophomore research align themselves to topics that are covered in the AP Seminar class." 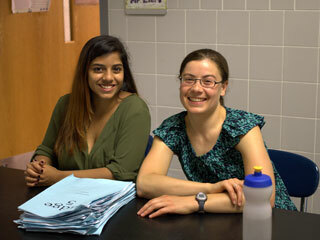 Students in the AP Capstone program are also part of the Research Program within the Science Department. 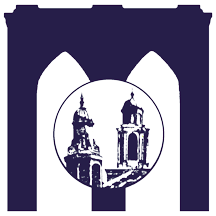 The Research Program is a three year course that is designed to provide students with the opportunity to perform independent scientific research is various college laboratories throughout the city. 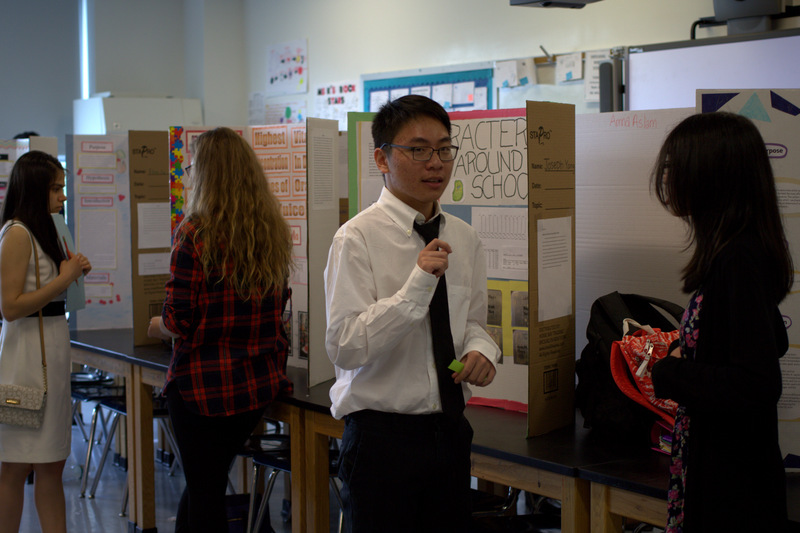 "Our curriculum has aligned itself the requirements of the AP Seminar curriculum in many ways, but the essence of what do have done in sophomore research in previous years is still there." Ms. Mosley added. 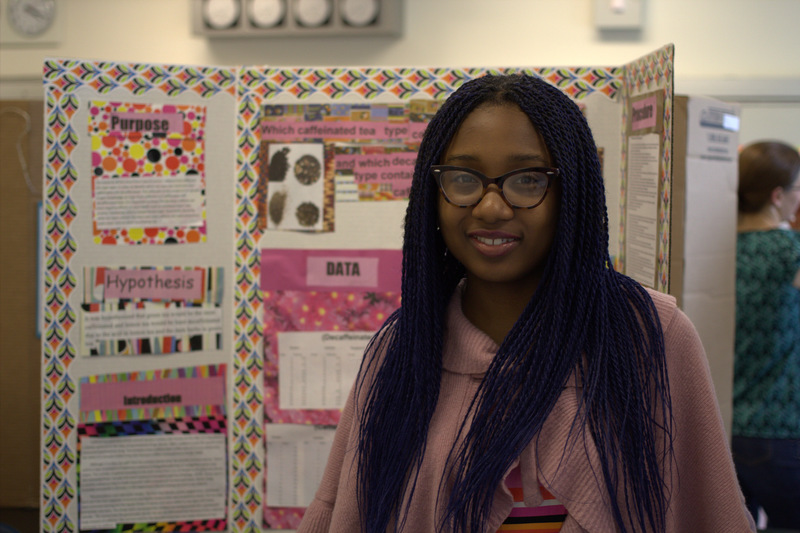 "Students are doing hands on projects, learning about issues in science, doing meaningful research, evaluating sources of information, and presenting their findings to each other." 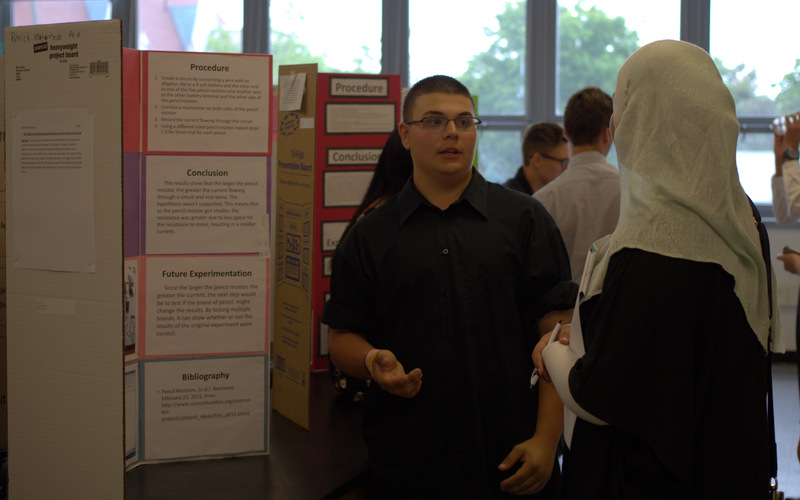 The sophomore research class is designed to provide students with basics of research methods: lab safety, basic lab procedures, finding and using sources, and presenting conclusions. These basics are aligned with the AP Seminar curriculum as AP Seminar is heavily focused on scientific literature research. 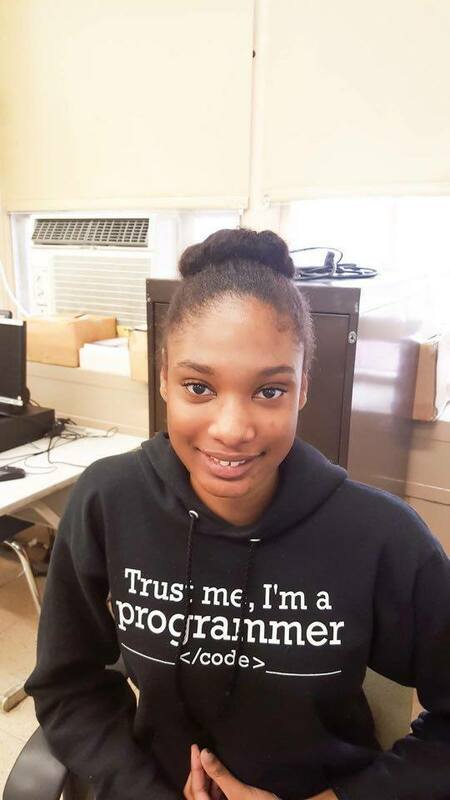 Ms. Mosley said , "We are trying to assist students in becoming scientists, we want our students to think like scientists, perform experiments, evaluate information, and eventually come to their own conclusion about the world around them." 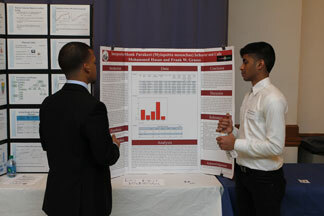 Within the Research program, juniors perform independent research in citywide college laboratories, and during senior year, the conclusions the students arrived at are used to write scientific research papers to be submitted into various national and statewide competitions. It is being debated whether AP Research should be incorporated into the student’s schedules during junior or senior year. 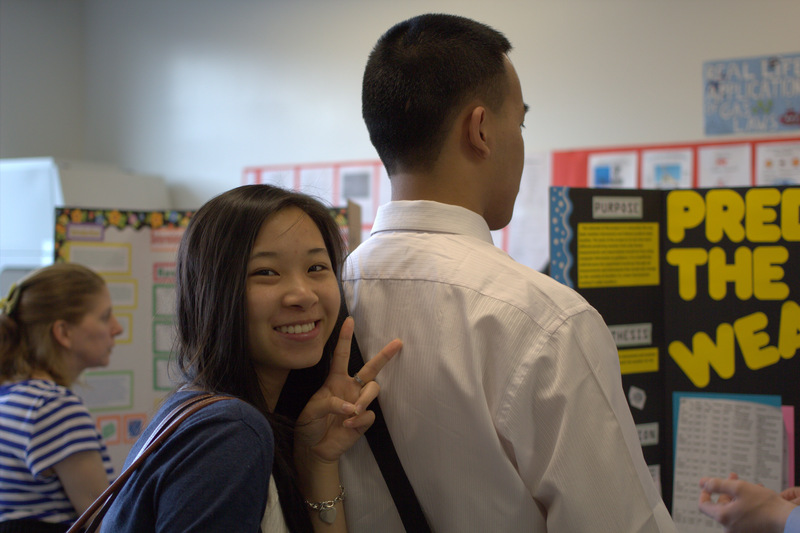 "AP Capstone is a different program. 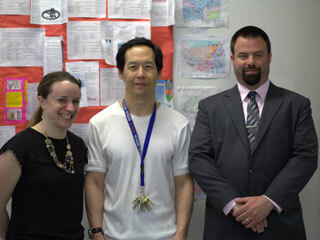 We had AP Literature, and then we added AP Language and Composition, and now we added AP Capstone," said Mr. Kraszewski. "Up until three years ago, if you were a junior or a senior you had four options, you took the regular English class, Journalism, Creative Writing. or AP Literature. But now you have so many more options to pick from, and we want students to have these choices and options." 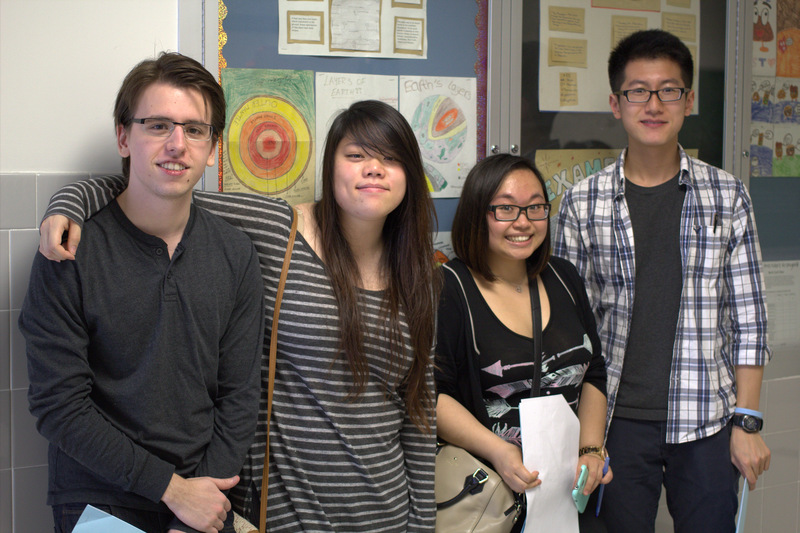 Written by Victor Lee and Jacky Lin (Class of 2016). Posted on Wednesday, November 4, 2015 by A Student for Media. Three dimensional (3D) printers, a mechanical horse, a 28 foot robot, and life-size mouse traps were just some of the scientific makings that were displayed at the 6th Annual Maker Faire. "It was an awe inspiring experience which triggered my creative genius," said Zainab Salahudin ’17. 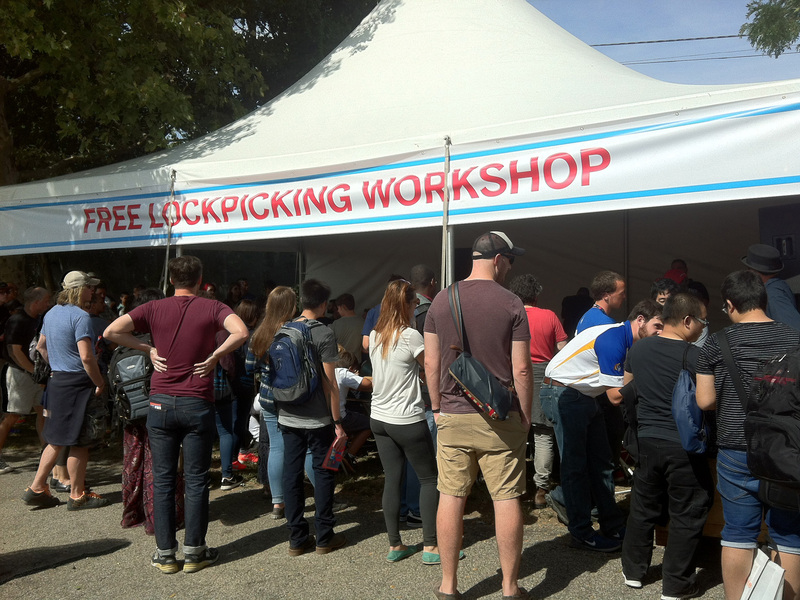 Thousands of people joined the Maker Movement on September 26 and 27 at the New York Hall of Science in Queens to experience the tech-influenced Do It Yourself (DIY) community. According to eventbrite.com, there were two ticket options: single day passes and weekend passes. Tickets ranged from $30-$80 for adults (18 and up) and $20-$50 for youth and students (ages 3-17). 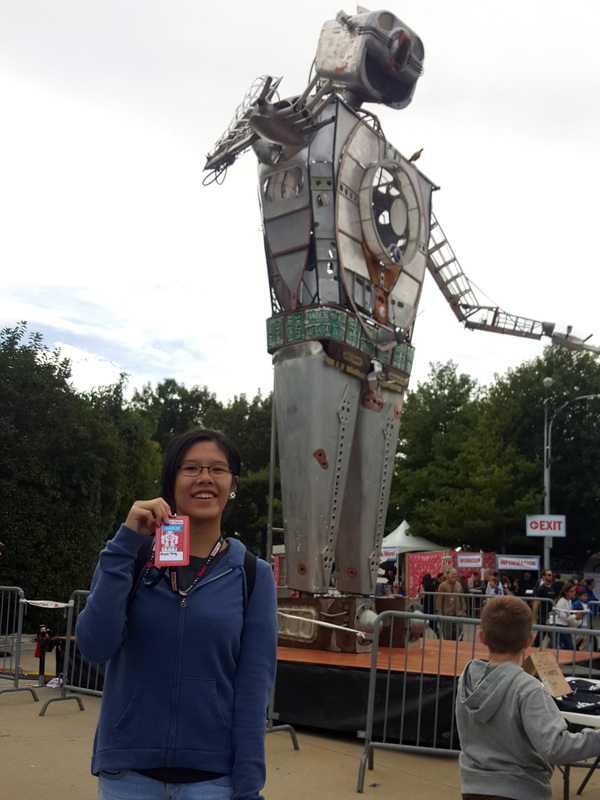 Junior and Senior Research students were given the opportunity to volunteer for extra credit and experience Maker Faire for free. According to Mr. Glenn Elert, research teacher, a total of 16 seniors, 10 juniors, and three alumni participated. 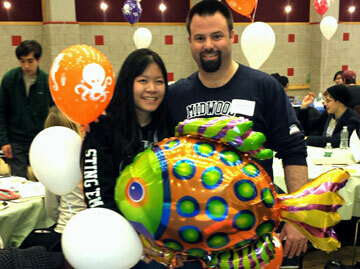 "I volunteered last year for extra credit and believed it was a valuable experience so there was nothing to lose volunteering again this year," said Michelle Do ’16. Volunteers had jobs that included: helping out at the Maker Camp, giving out safety waivers, assisting makers, and providing information. 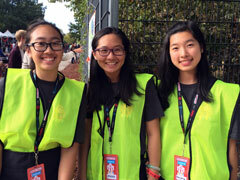 Volunteer shifts ranged between four to five hours. "I enjoyed volunteering at Maker Faire," said Wensi Wu ’17. 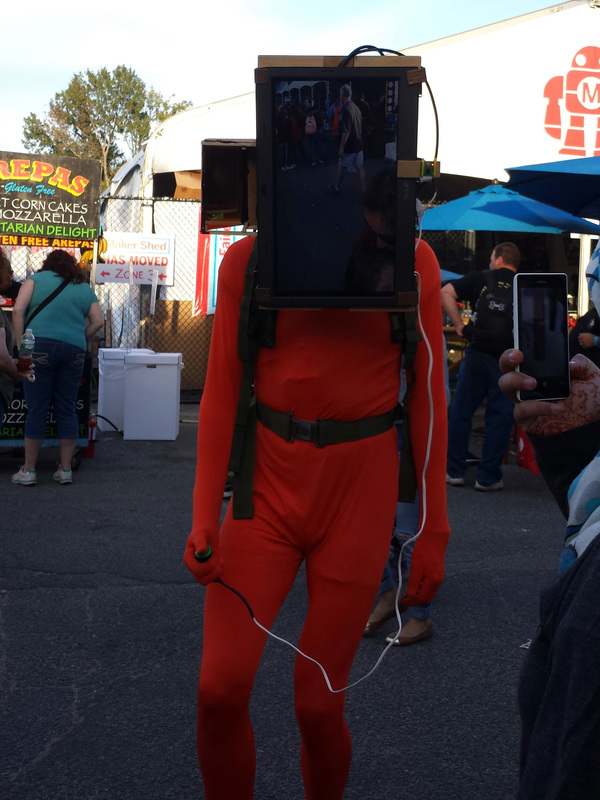 "I got a free pass and many benefits such as a passport with my picture and a T-shirt. 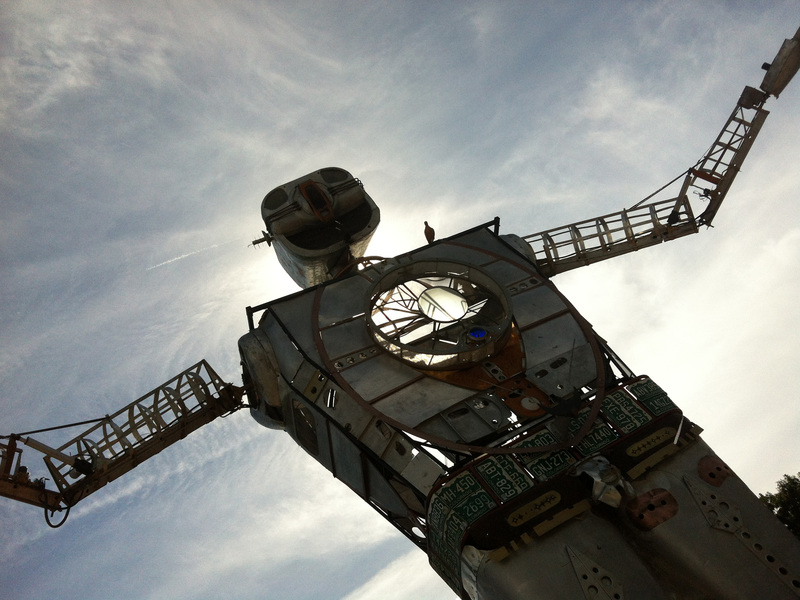 People were welcomed by a 28 foot tall robot that was made from 95 percent airplane parts and had head and arms that emitted fire. 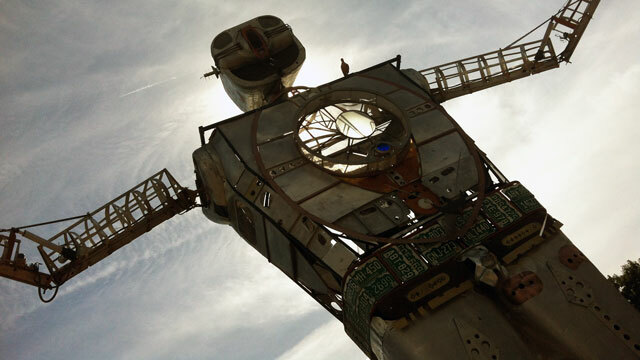 It took its maker, Shane Evans, seven months to complete the masterpiece that weighed approximately 870 pounds. "It’s very inspiring to see someone take something so ordinary and make a complex machine out of it," said Salahudin. 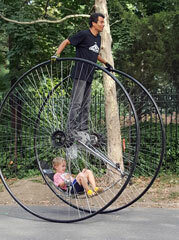 With a total of six zones, one more than last year, there were activities for all age groups. 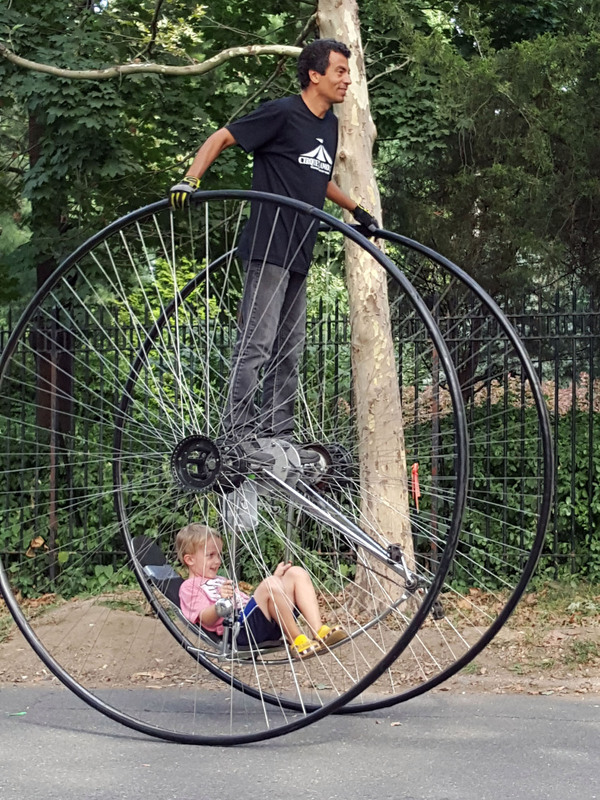 Children, youth, and adults were able to engage in craft and hands-on activities, drone races, and enjoy scientific musical performances played by a fire organ. 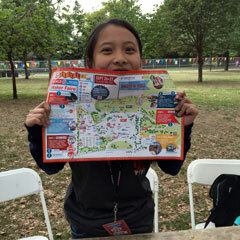 Visitors were able to participate in these activities with an activity wristband, which were obtained from some of the volunteers and information tents. 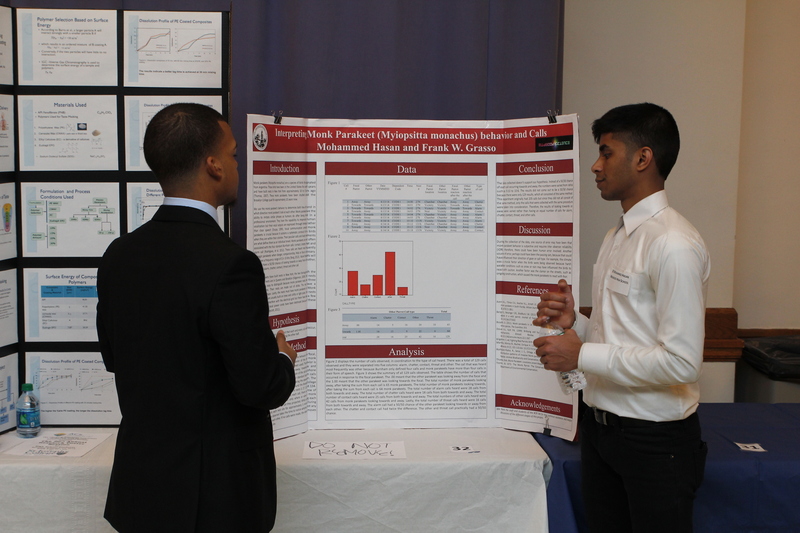 Mie Abouelkheir ’16 presented a workshop on the forces of flights and catapults in Zone 4 and represented the Intrepid Sea, Air, and Space Museum. She received the opportunity to present in Maker Faire because she was an Intrepid Teen. "I really enjoyed teaching and seeing parents and their children interact with each other and learn from each other," said Abouelkheir. 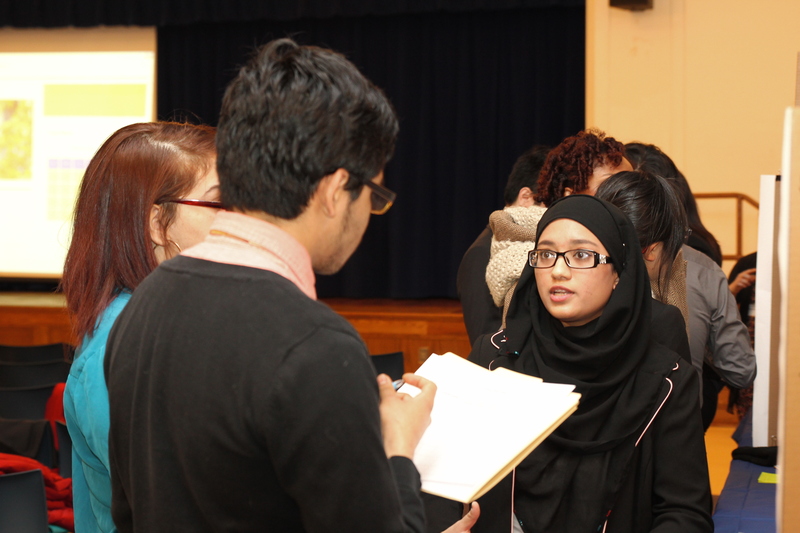 "It also helped me practice my public speaking skills." 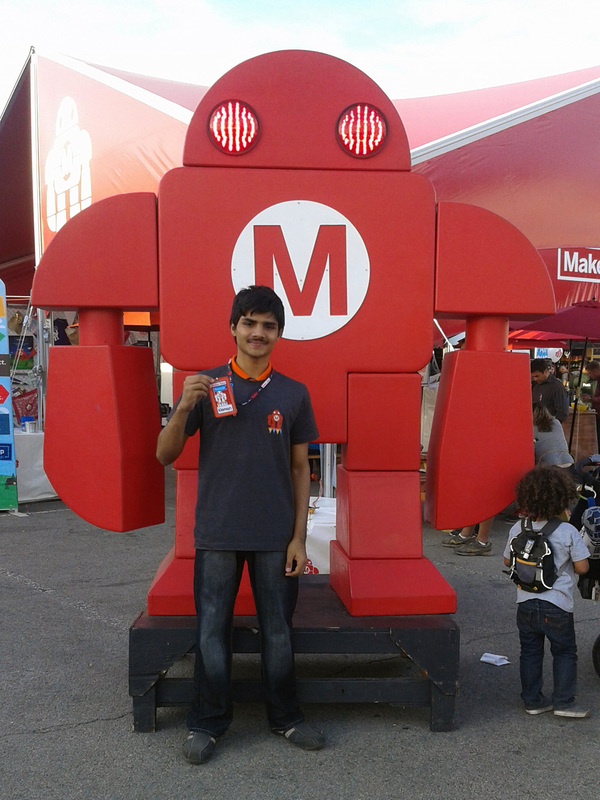 Maker Faire has grown throughout the years and can be found throughout the world. 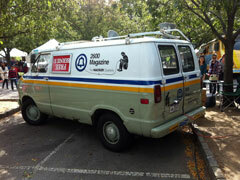 The original maker faire began with approximately 50,000 people and the amount increases every year. Maker Faire continues to expand and become known throughout the world. According to makerfaire.com, there are Maker Faires in Tokyo, Rome, Detroit, Oslo and Shenzhen. "It’s a great event for showing off ideas for constructing," said Mr. Elert. 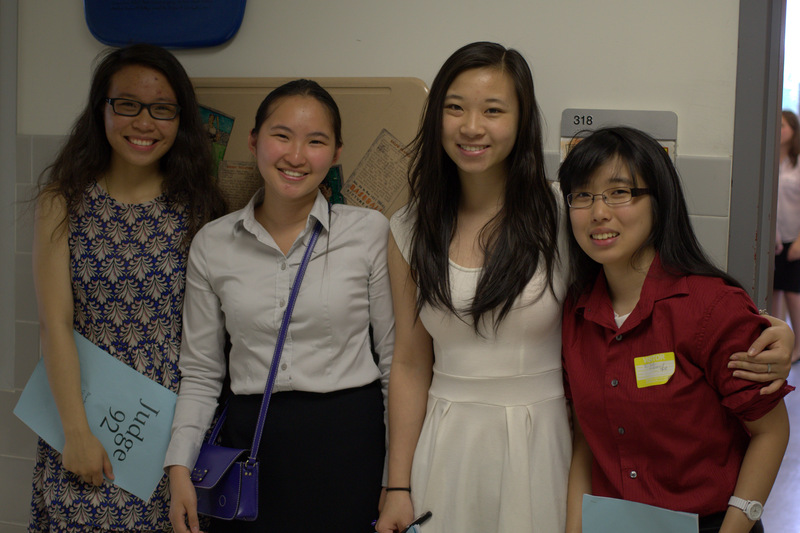 Written by Xiao Ying Huang and Jocelyn Chen (Class of 2016). 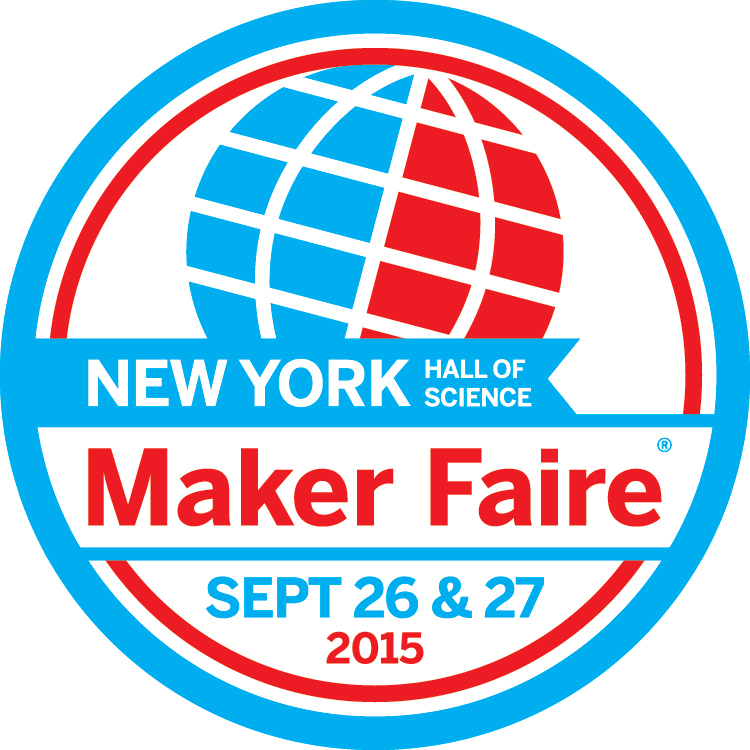 Posted on Monday, March 9, 2015 by A Student for Media, NYCSEF. 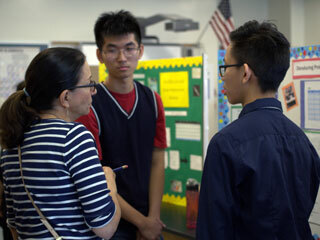 Anxious presenters stood next to their boards as they explained their projects to the public at the New York City Science and Engineering Fair on Sunday, March 1. 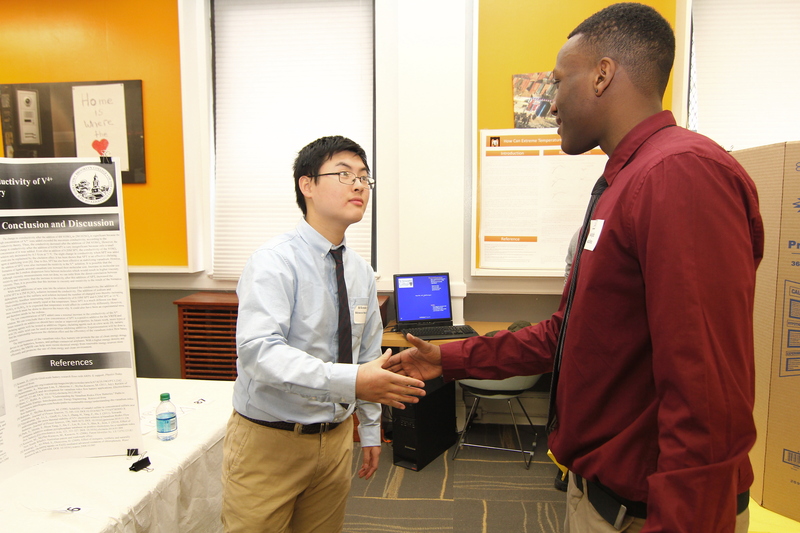 "Seeing all those projects were really helpful to me because I learned how the projects are being displayed and it teaches us things that can possibly benefit the world," said Matthew Chung ’16. 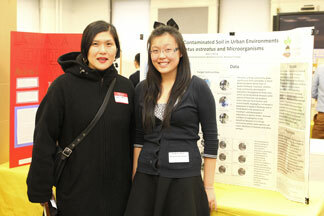 The New York City Science and Engineering Fair, NYCSEF, was held at City College in Hamilton Heights, Manhattan. This is known to be the largest science fair for New York high school students. 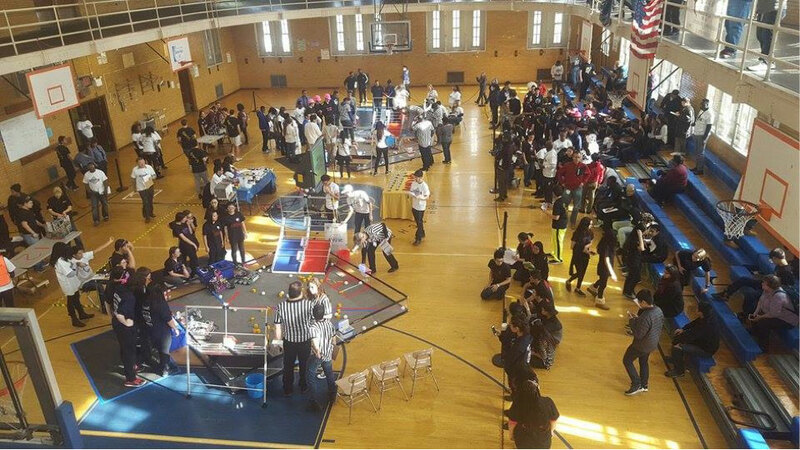 Students from various high schools entered, including Brooklyn Technical High School, Edward R. Murrow High School, and Stuyvesant High School. 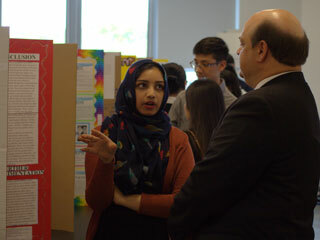 According to Mr. Glenn Elert, Science Research Coordinator, there were 450 projects, 578 students, and 120 became finalists. 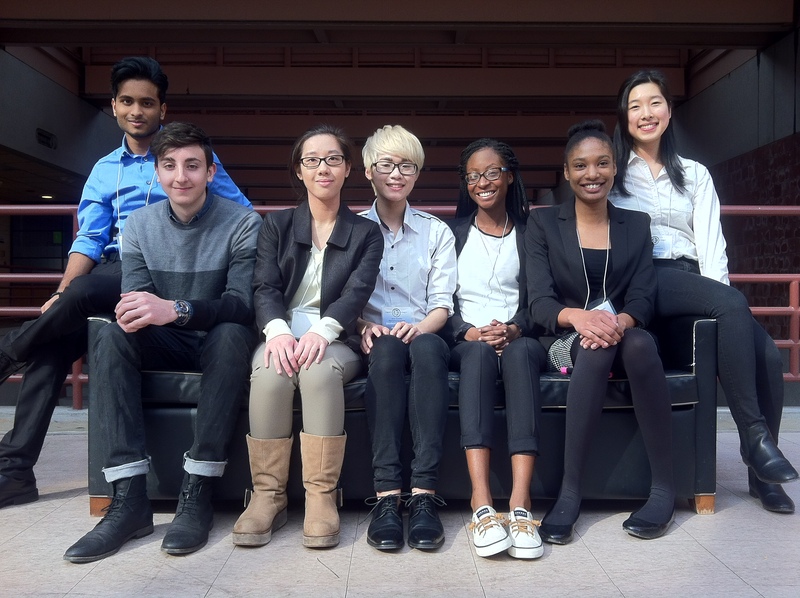 Nine of those finalists included Midwood’s Michael Divgun ’15, Tamneya Hauter ’15, Syeda HIllary ’15, Zainab Iqbal ’15, Sandra Lin ’15, Lucy Lin ’15, Monique Powell ’15, Emily Tse ’15, and Raymond Yu ’15. 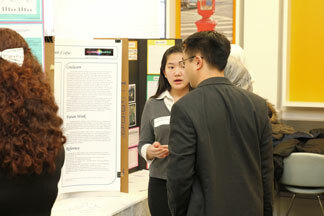 Seniors in the Science Research program presented their projects in the science fair. 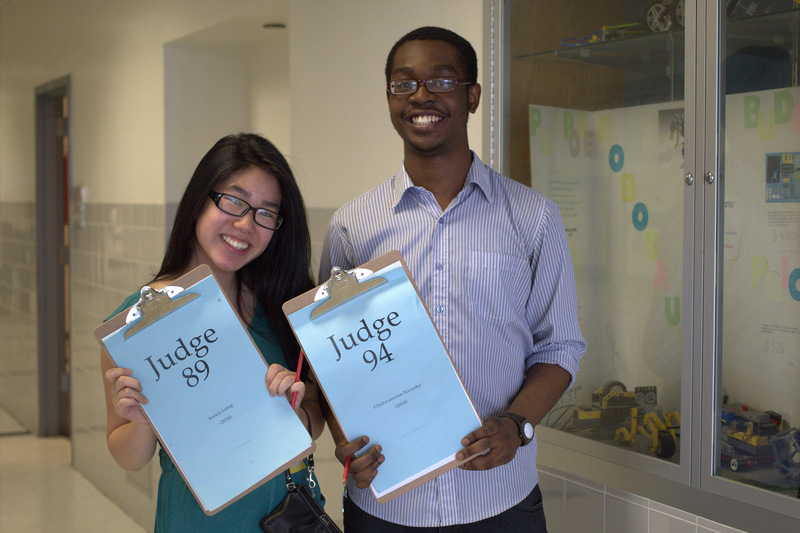 The judges who viewed the presentations varied from Google employees to professors at universities. 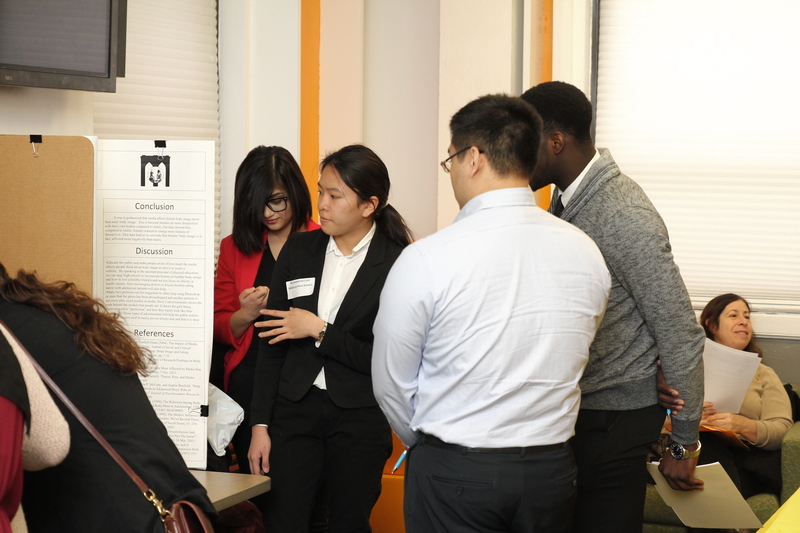 "In the beginning, I was really nervous and scared, but as judges started coming and I presented to my first judge, I started to relax more," said Dina Deng ’15. 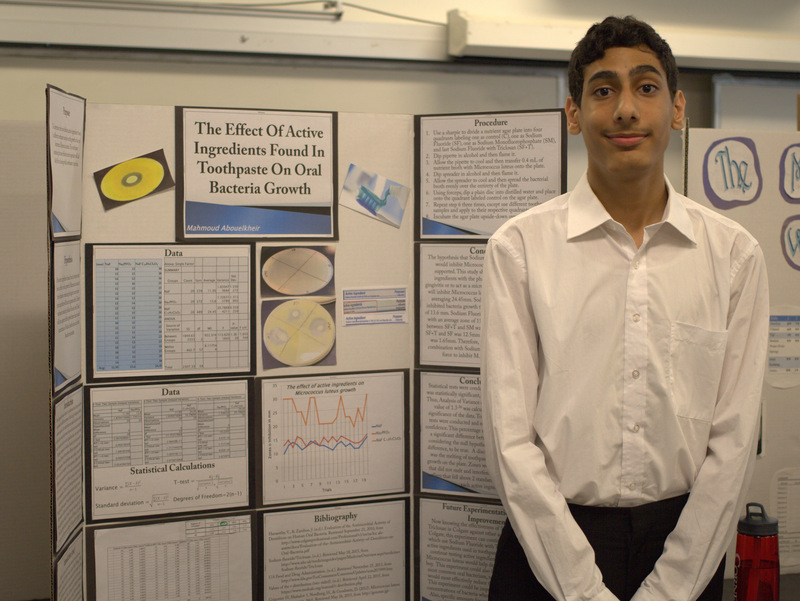 "It was a fun experience because you got to see what other people researched and studied." 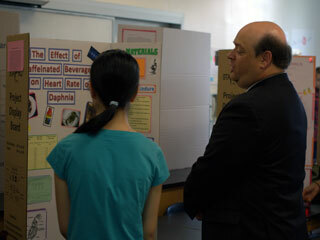 Mr. Elert also attended as a judge for the science fair. 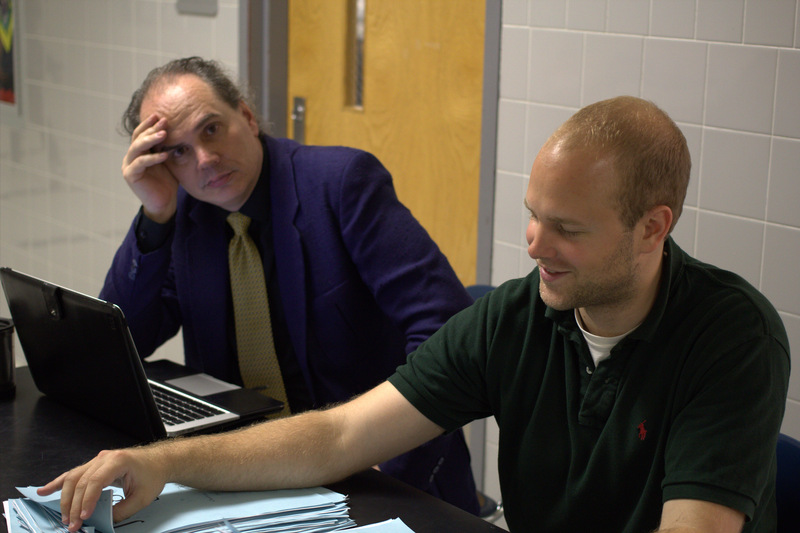 "It’s like being a teacher, you’re just grading someone’s work," said Mr. Elert. 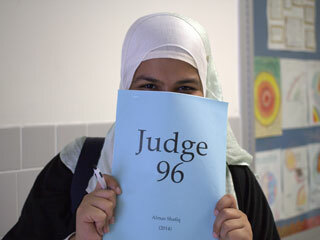 "They had over 400 judges, which was the largest amount ever. 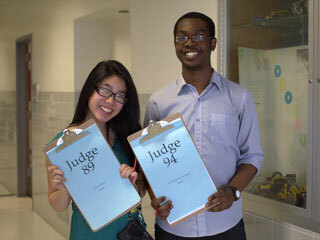 There were so many judges that they ran out of judge IDs." 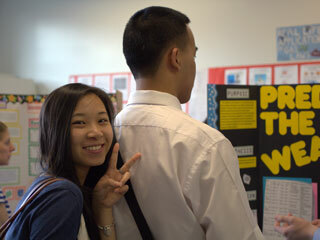 After the seniors were done presenting to the judges, the science fair was open for public viewing which the sophomores and juniors attended. 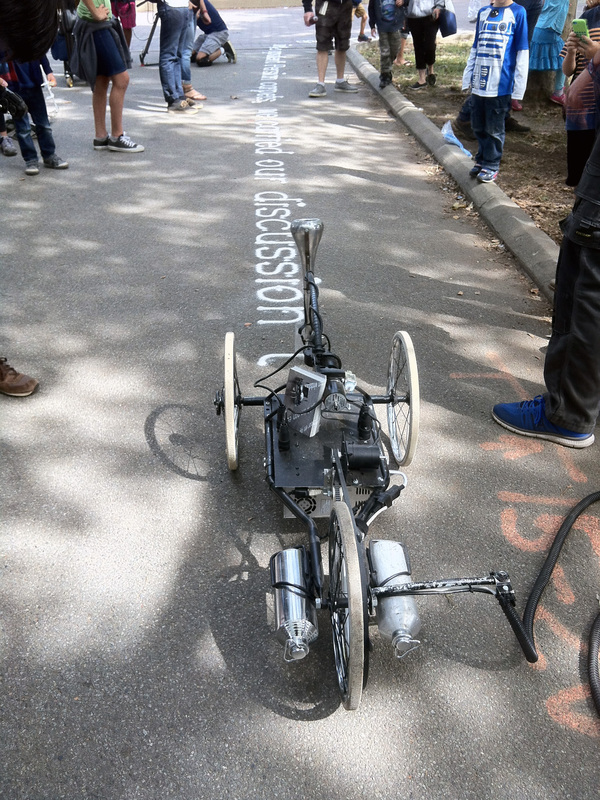 "I wanted them to see what the event was like before they went for real," Mr. Elert said, "Meaning going in for competing as opposed to just observing." 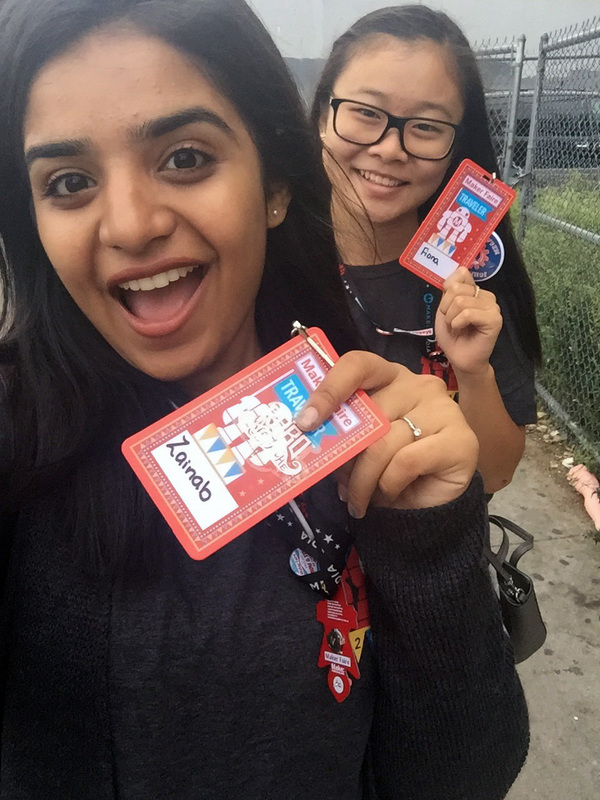 Michelle Do ’16 said, "It was a really nice and enriching experience because now that I know first hand what is happening, I will work on my project even more since I will be doing this same exact thing in a year from now." 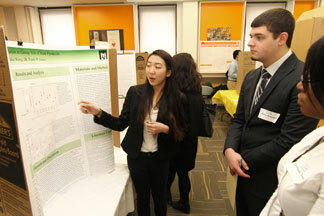 Final rounds will take place at The American Museum of Natural History in the Milstein Hall of Ocean Life on March 24. Experts in 14 different science and engineering fields will judge the finalists. 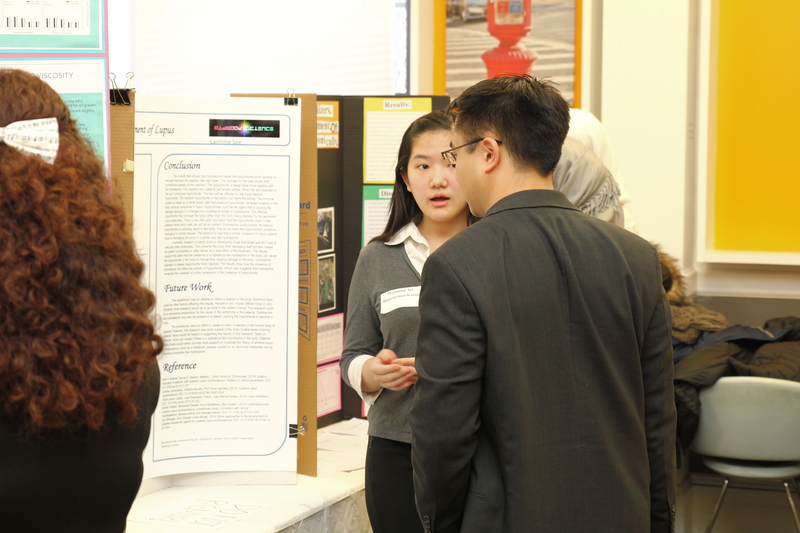 Out of those finalists, around 20 students will be chosen to represent New York City in May at the 2015 Intel International Science and Engineering Fair (ISEF) in Pittsburgh, Pennsylvania. 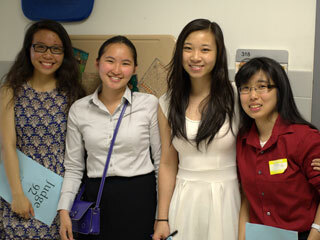 "I was astounded by the news that I got into the NYCSEF finals," said Yu. "I feel honored to be selected as a finalist and am excited for the upcoming final round." The prizes for the winners of the final round include over $4,000,000 in scholarships and awards as well as an all expenses paid trip to Pittsburgh. However, above all else, these presentations showcased the hard work and passion of the students. 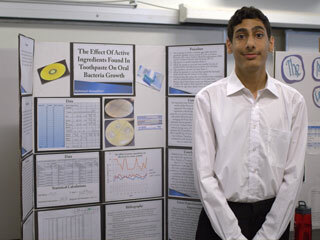 Iqbal said, "I attended because I wanted to present my project and hopefully go somewhere with it. Psychology can also be very underestimated sometimes because you usually see chemistry and physics, but not a lot of psychology." 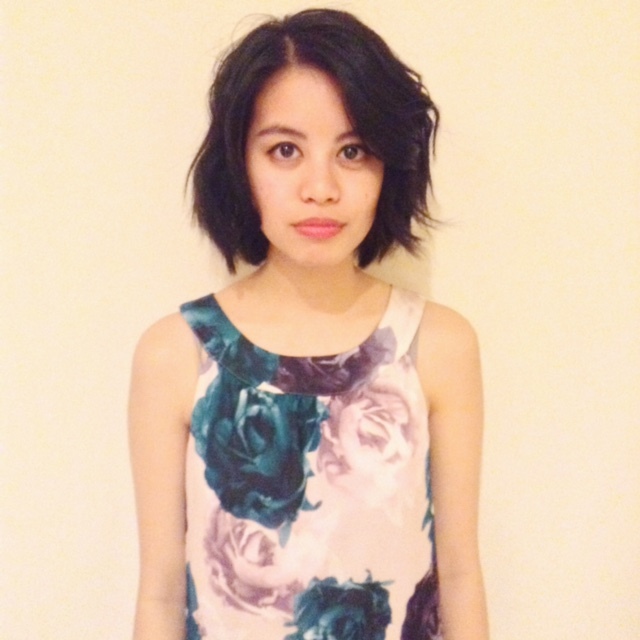 Written by Christine Ly and Amanda Kwong. 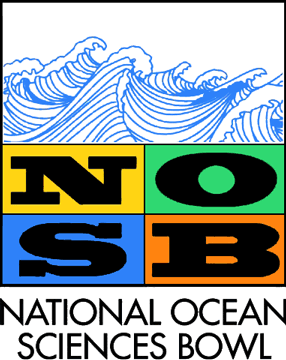 Posted on Monday, February 2, 2015 by Elert for Media, Ocean Science. Ocean science is tougher than it seems. With multiple branches of science involved such as Physics, Biology, Environmental Science, Earth Science, and Astronomy, the Ocean Science Team is constantly studying and working hard. 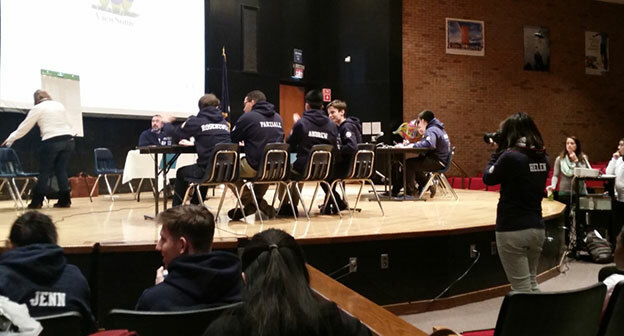 Their acquired knowledge is then shown in a regional competition in the late winter followed by national competition in the early spring if they place first in regionals. 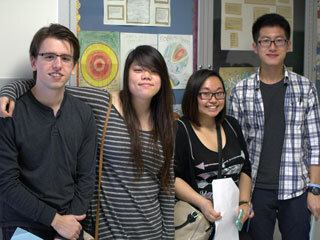 The Ocean Science Team consists of many of the school’s top students from sophomores to seniors. Many of them have been on the team for two to three years now. 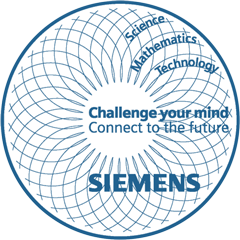 The team looks for people who have an interest in science and who are up for a challenge. 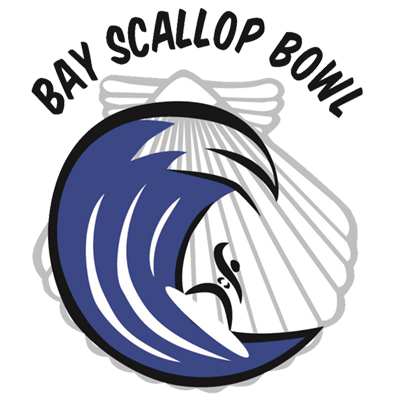 Mr. Alan Stack, coach of the team, created the team because the Bay Scallop Bowl caught his attention. Students are invited to join based on how they can handle an abundant amount of work, their grades, and their attitude. Those who are interested in the team, but aren’t invited, may join as well by an interview with the coaches and a trial period. During the trial period they are with the team for a year and the coaches evaluate their progress on how well they handle the workload. One must be able to keep up with the material taught at the team meetings as well as schoolwork. "This is a team that requires a lot of dedication and commitment," said Ms. Kimberly Lau, current assistant coach of the team. 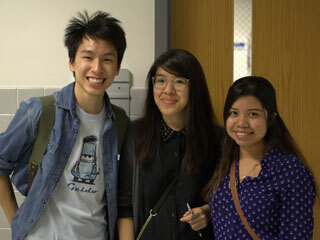 The team meets up Tuesdays through Thursdays in room A215. 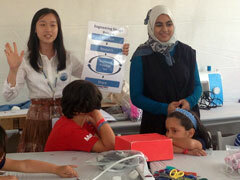 The coaches provide them with different textbooks to cover the many areas of ocean science. During the meetings, team members self-teach and teach each other the material. They create outlines and study sheets based on the textbooks. 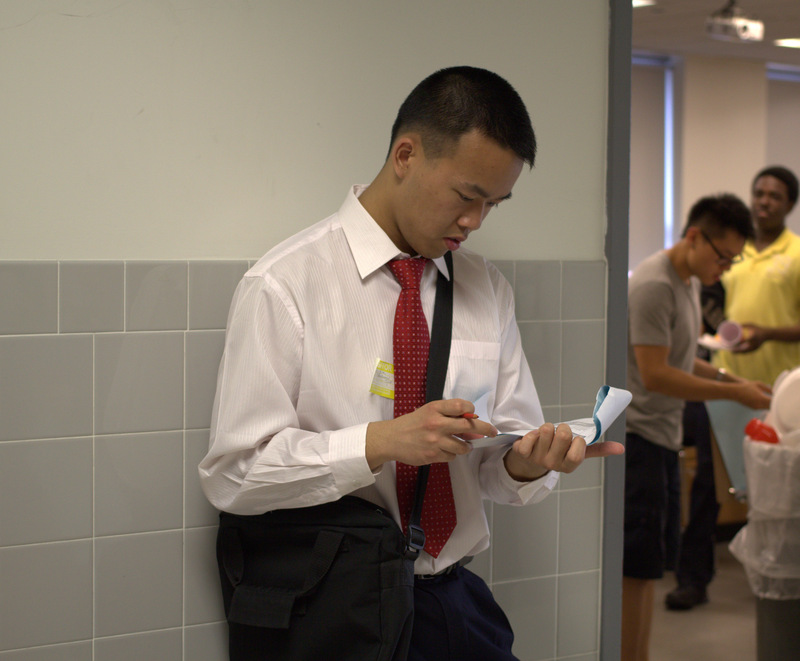 "I like how the club works," said Austin Siu ’16 a current member of the team. "Everyone is committed to what they’re doing and it makes me motivated to put in the same amount of effort. 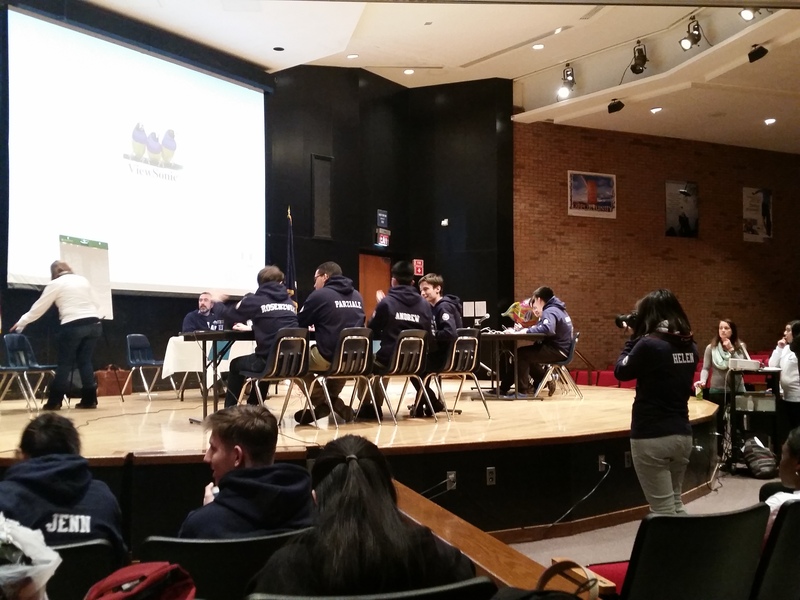 In preparation for the Bay Scallop Bowl regional competition on February 7 at Stony Brook University, the team is working on questions provided by their coaches and vocabulary to test their knowledge. The competitions are a test of speed along with intelligence. They are having mock competitions against each other to see how fast their buzzing skills are and what they need to improve on. "We try and practice buzzer sessions at least once a week and we have Ms. Lau and Mr. Stack constantly make up new questions for us to answer," said Helen Wong’15, team member for three years and current captain. 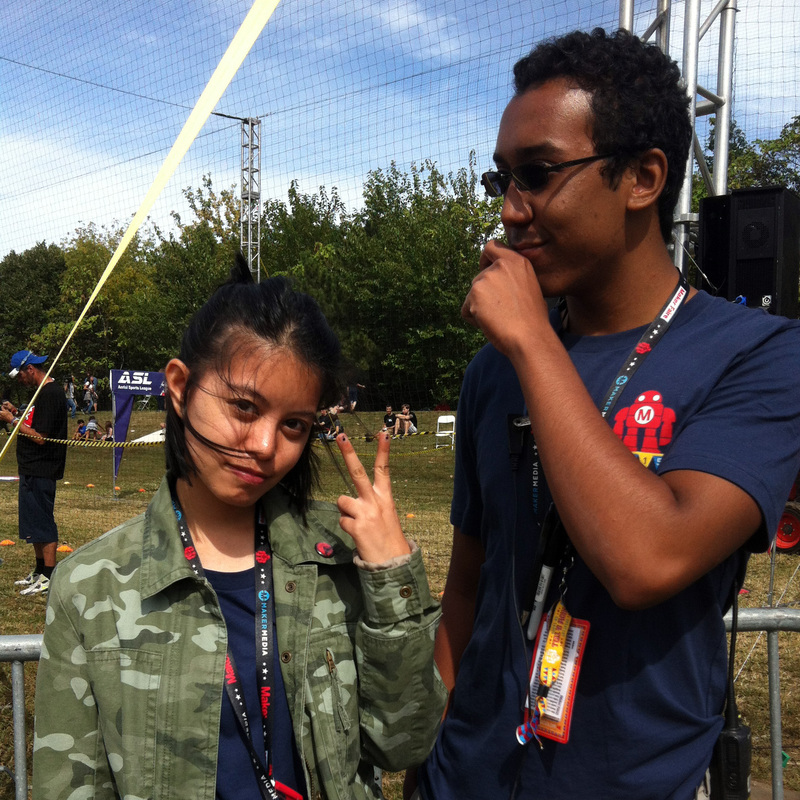 For the competition this year the team is split into two, team A and team B. For the first time a B team is created so newer teammates can experience the competition firsthand instead of watching from the crowd. There are four members on each team with one alternative team member each. 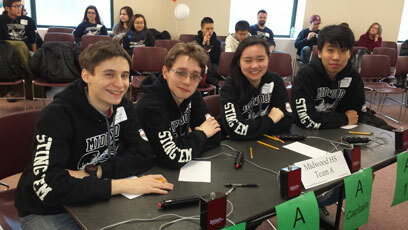 They race against another team from a different school to see who buzzes in the correct answer first. "During the competition, I would feel equal parts excited and apprehensive. 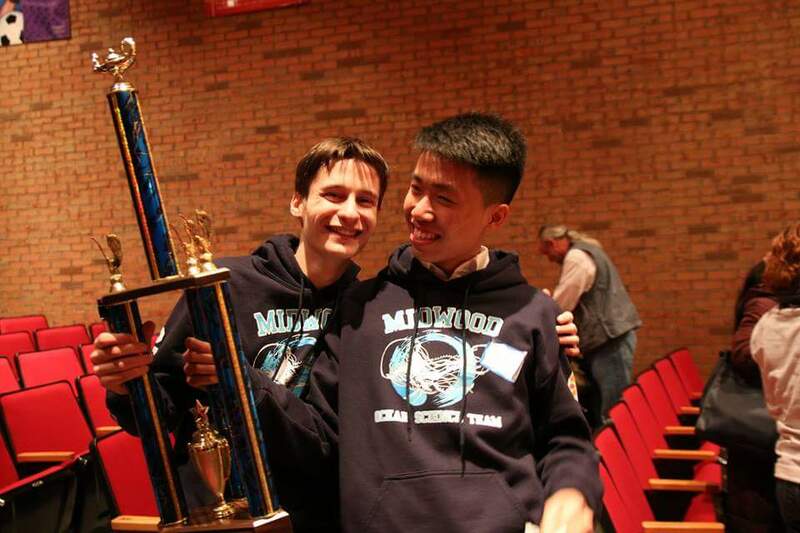 There’s always a rush when you know the answer to a question and you beat the other team to the buzzer," Wong said. 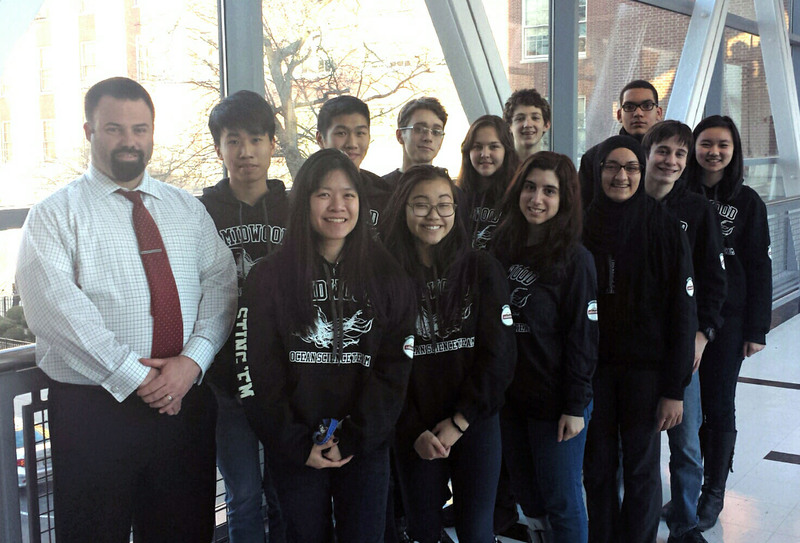 Last year the Ocean Science Team placed fifth out of 16 schools in the regionals. This year, to improve in the competition, members are well rounded in their knowledge. They all keep up with the same material by reviewing weekly self-made outlines and textbooks together. 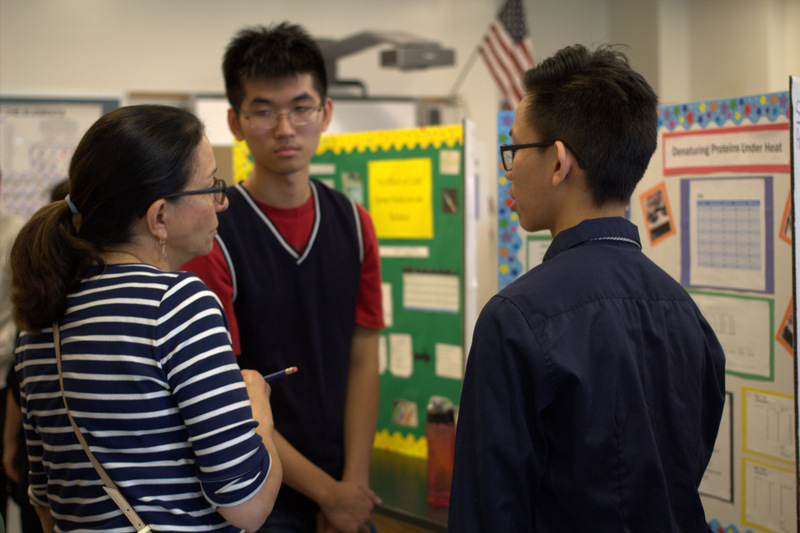 "This year instead of having students with different strong points, everyone is well rounded with what they know," Ms. Lau said. 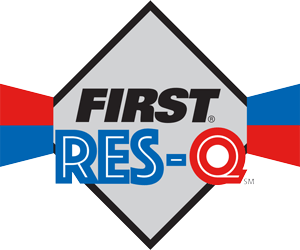 First place in the regionals gives students a ticket to the national competition. First place in nationals gives the students a scholarship to a college with a marine science major. 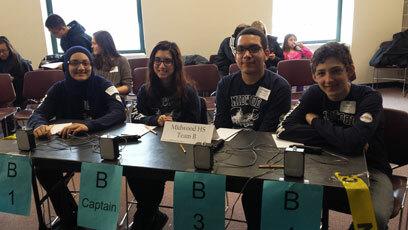 However, many students choose to stay on the team out of sincere interest, for a challenge, as well as to expand their comprehension of ocean science. 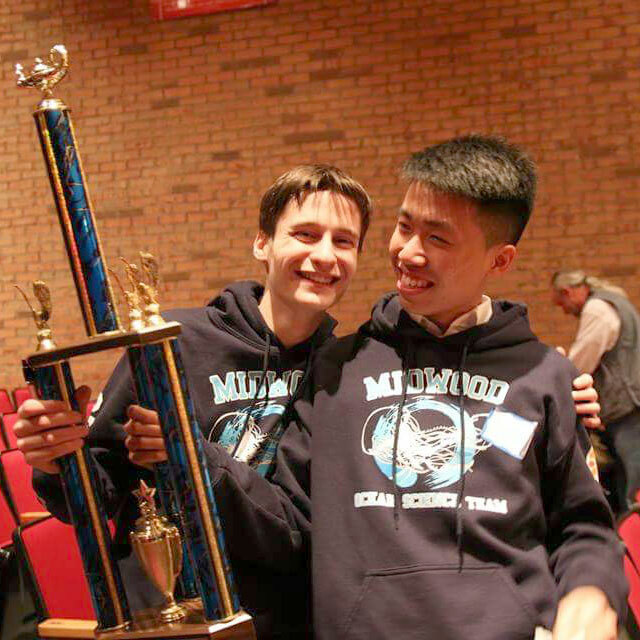 Posted on Wednesday, December 10, 2014 by Elert for Media. 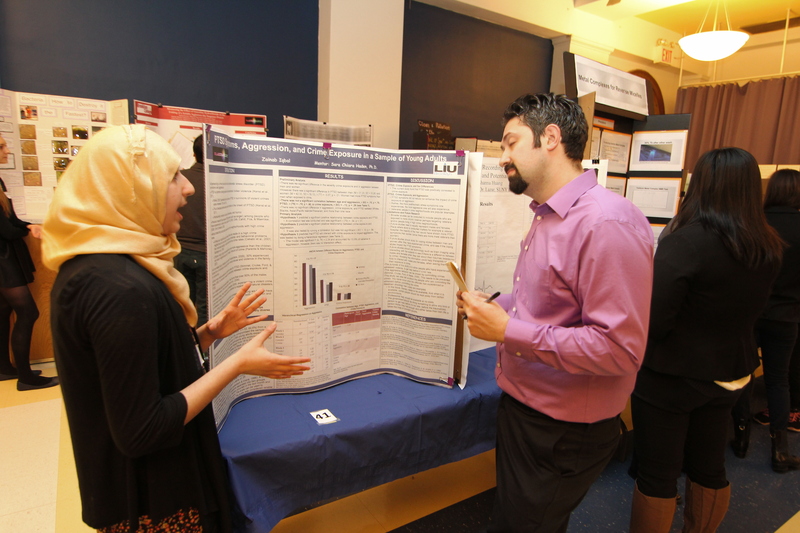 The worthiness of the Research Program is frequently questioned by freshman in the Medical Science Institute when choosing their required track; the Research Program is known for its academically challenging curriculum and the dedication required by its students. 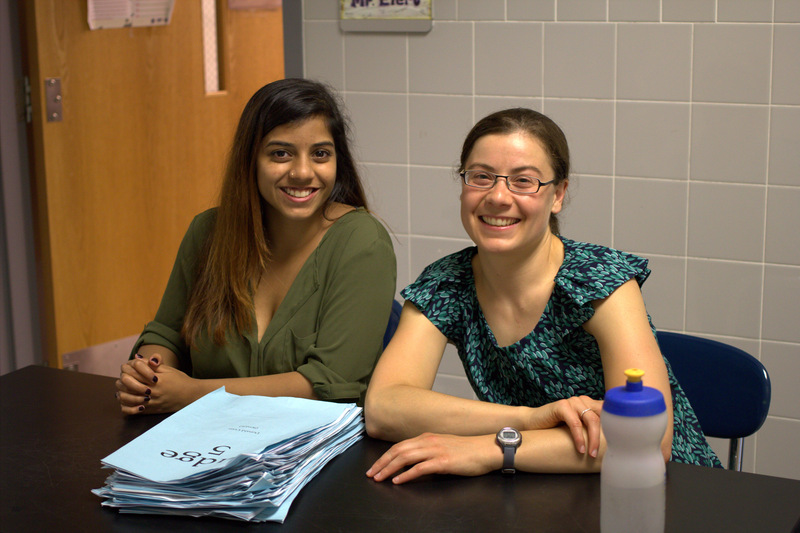 The Research Program offers students the opportunity of working as interns in college laboratories under the mentorship of college professors starting junior year. 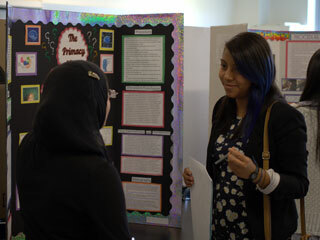 The track offers the classes: Research Projects to sophomores, Junior Research to juniors and Senior Research to seniors. 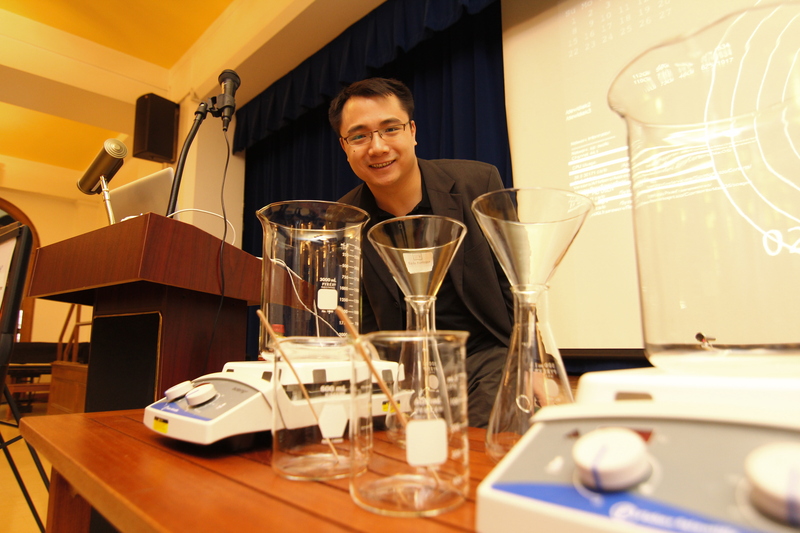 Research Projects dedicates the curriculum to prepare students for laboratory work, in which students will use during Junior Research, when they will complete research projects in college labs. 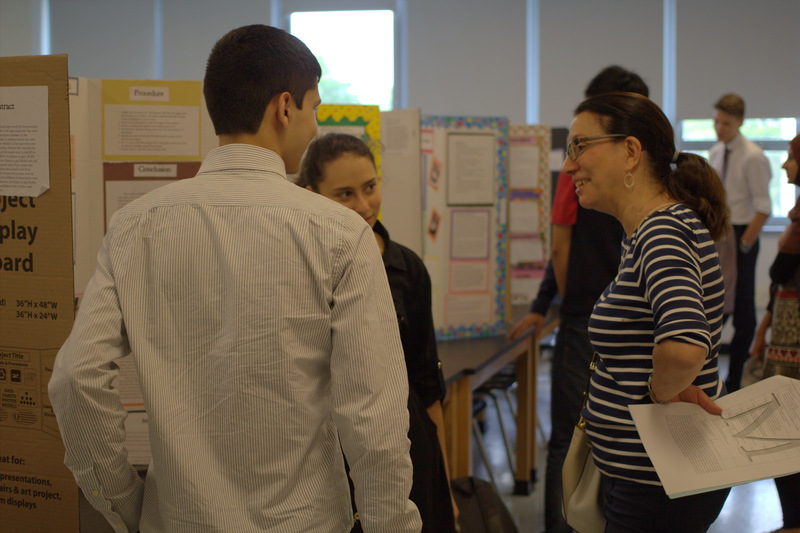 Within Senior Research, in addition to continuing laboratory work, students will enroll into national and local competitions to showcase the results of their research projects. 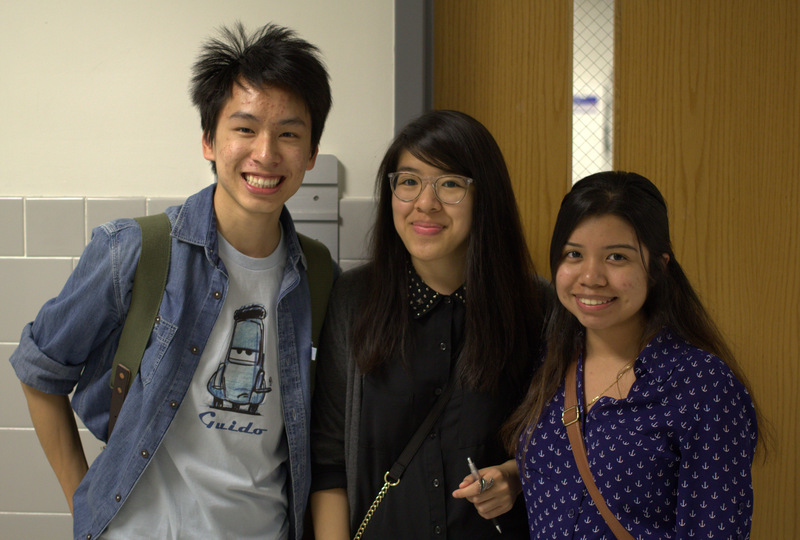 Looking for labs is hard; its been months since I started looking for a lab, but I still haven’t gotten in one yet, Christine Ly 16 said. 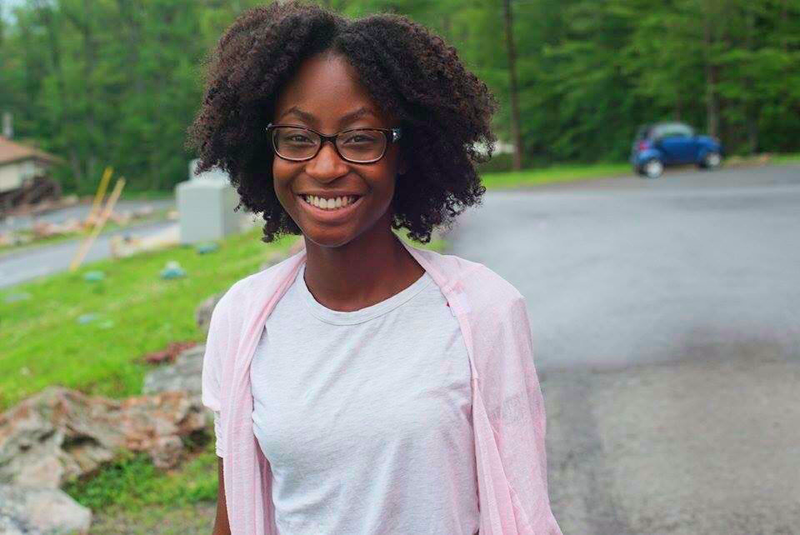 College professors do not readily accept high school students into their labs because most juniors do not have lab experience; although the sophomore class, Research Projects, intends to expose students to various lab techniques such as DNA extraction in preparation for Junior Research. I’ve been in a lab for about a month, Emily Hui 16 said, but my mentor still doesn’t trust me enough to give me a project. 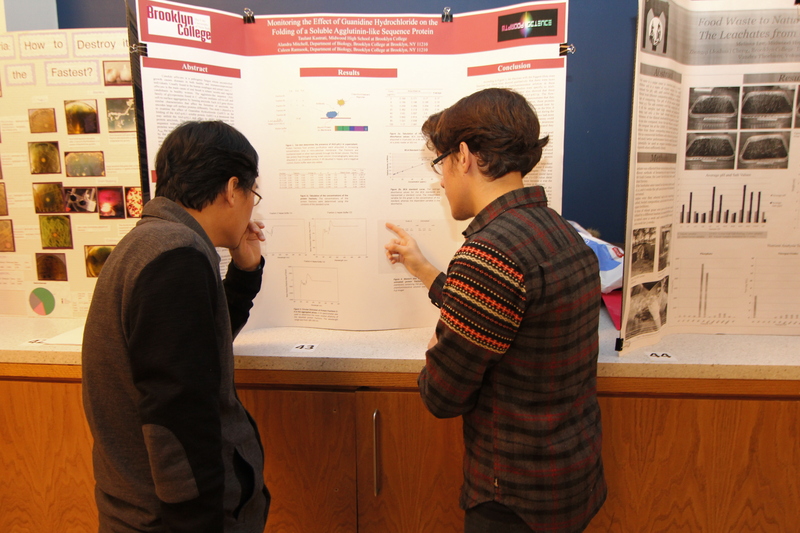 Students within labs are required to conduct college level research, but some mentors do not readily give projects to inexperienced high school students. 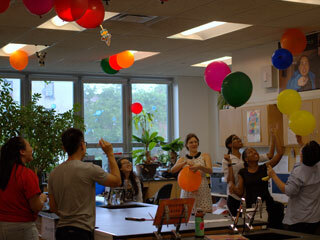 Students work in labs of various fields such as biology, chemistry, engineering environmental, psychology, and physics. The majority of the labs that students attend are near the school, such as Brooklyn College and SUNY Downstate. Some labs require students to work on live specimens, such as mice. 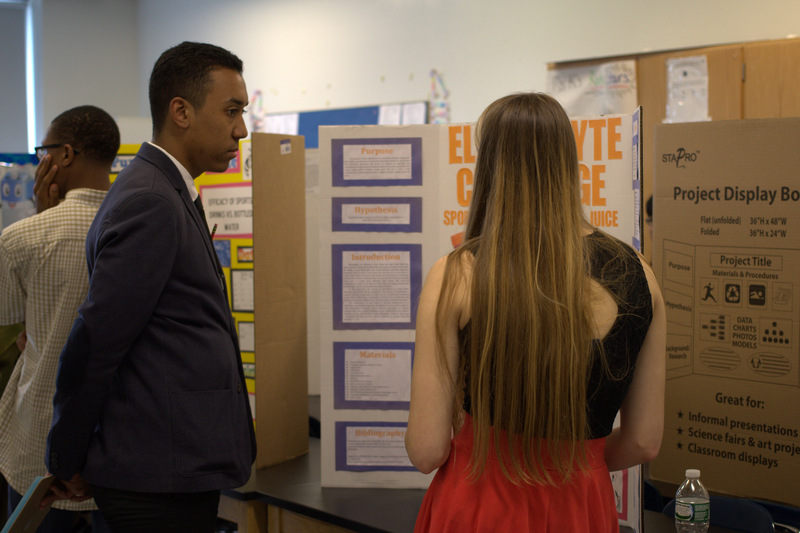 According to Mr. Glenn Elert, approximately 40% of students do not continue into Senior Research due to various reasons, such as not finding a lab, not finding a suitable lab, or unable to complete or obtain a project. Whenever I look at my completed project I feel satisfied, Mohammad Hasan 15 said. Seeing the results makes the hundreds of hours I spent in lab worth it. Seniors within the Research Program typically completed at least one project, and they will enter their finished project within various national or local competitions. 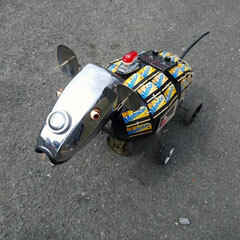 Hasan noted, The Intel application contains many short responses, essays, and recommendation. Filling that long application takes weeks. Seniors, in addition to the required 16 monthly lab hours, have to complete lengthy applications for various science competitions. 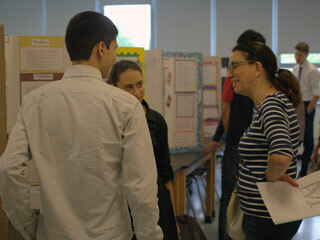 The competitions that students attend typically are: Siemens Competition, Junior Science and Humanities Symposium (JSHS), New York City Science and Engineering Fair (NYCSEF), Intel Talent Search, St. Joseph’s College High School Poster Session, Google Science Fair, and Brooklyn College Science Day. Students within the past have won awards in various competitions. 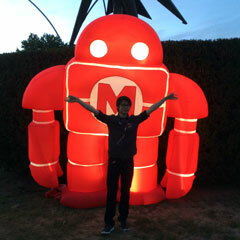 Raymond Li 16 said, I applied for Robotics so I wouldn’t have to go to Research, its too much work! 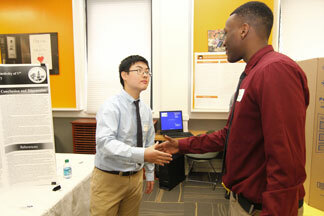 To some students, other tracks such as Robotics and Medical Issues serve as alternatives to the academically intensive Research Track. 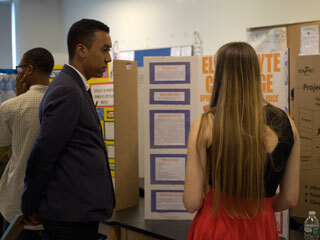 According to Mr. Elert many students take the Research Track because, when you make it to senior science research you have proved to the world that you have what it takes to succeed. 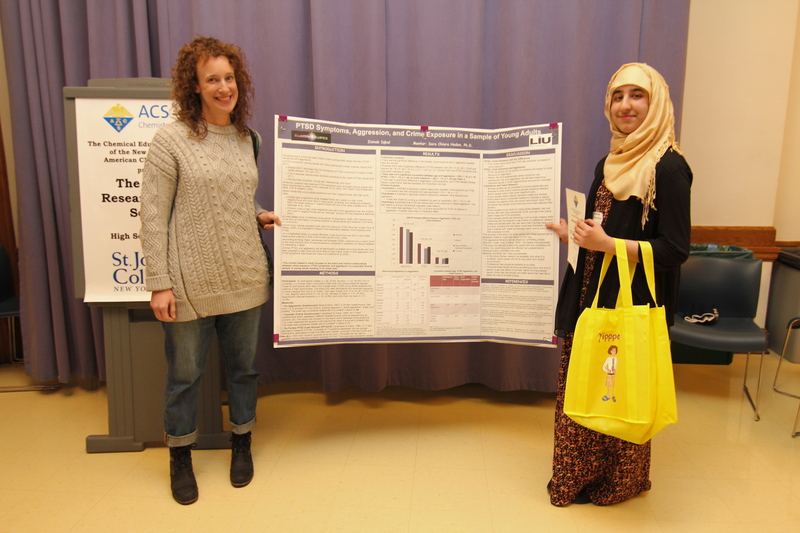 Despite the large amount of workload a researcher will face, many students continue to apply and finish the Research Track to prove their academic abilities. 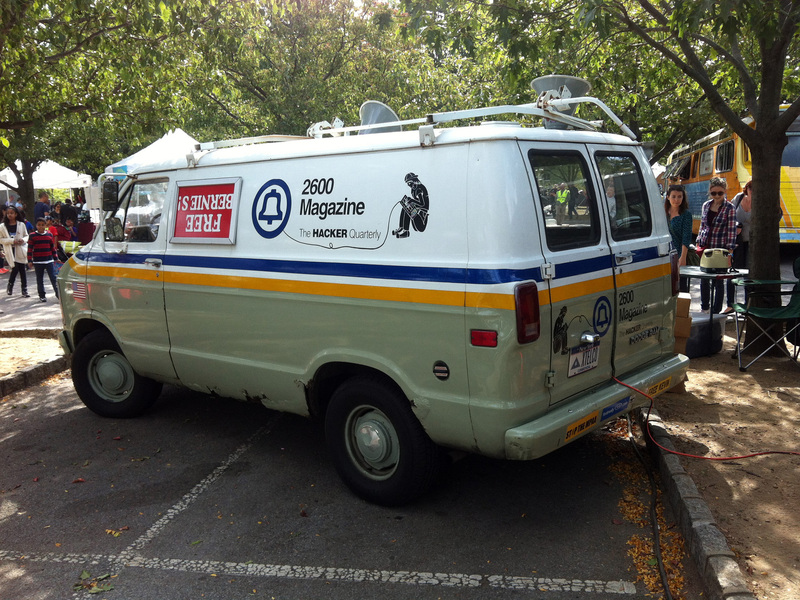 This article originally appeared in the November 2014 edition of Argus.